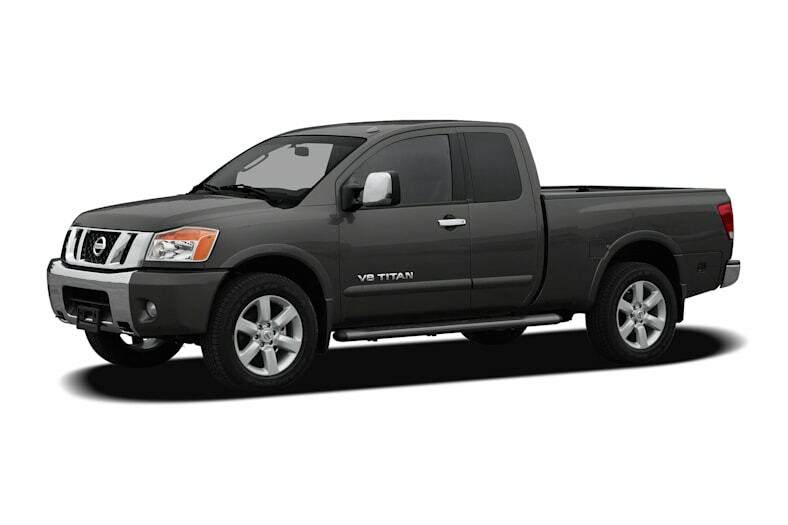 The Nissan Titan is a full-size pickup with lots of power, ample capabilities and a level of refinement that adds to its appeal. There are two body styles: The King Cab has rearward-opening rear doors. The Crew Cab is a conventional four-door configuration and offers a choice of short or long cargo beds. The only engine choice is a very powerful 5.6-liter V8 that makes 317 horsepower; it is matched to a five-speed automatic transmission. The Titan is available with two-wheel or four-wheel drive and has a maximum towing capacity of 9,500 pounds. On the outside the Titan has a rugged, purposeful look. Inside, you'll find an attractive, user-friendly interior. There's room for a family of five or four burly fishermen. Titans range from utilitarian models with crank windows to leather-lined cabs befitting a luxury SUV. You really can have it just about any way you want it. The strong V8 engine gets the done. Fuel economy is EPA-rated at 13 mpg City, 18 mpg Highway with two-wheel drive. This is a truck for true truckers. If you have no need for its stout capabilities to haul or tow heavy and/or big things, you may be better off with something smaller and more efficient. However, if the Titan's robustness and its ability to deal with tough jobs and heavy loads, such as pulling a toy box full of dirt bikes and sand buggies, is just what you need, then the Titan will certainly deliver while cradling you in comfort and convenience every mile of the way. For 2010, Titan receives some upgrades. On the safety side, side-impact airbags, side-curtain airbags, Vehicle Dynamic Control with Traction Control, and Active Brake Limited Slip are now standard on all models. There have also been changes and additions to the available options and packages which, basically, make it easier and less expensive to equip the Titan with the features most buyers want in order to suit individual preferences. In short, if you need a full-size pickup with power to perform and deal with heavy loads, and with plenty of room inside, and you'd also like the comfort and convenience of the Titan's level of refinement, then it definitely should be on your shopping list.